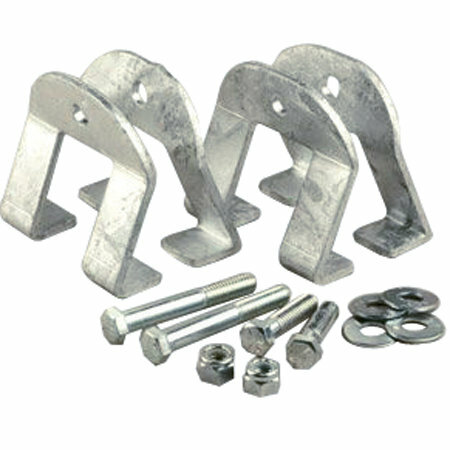 Allows any Smith guide-on with 1-1/2" square uprights to be mounted on any steel or aluminum I-beam frame. This design is simple to install and can be fitted to the top or bottom of an I-beam. Can also be used as a tie down point. Fits I-Beams up to 4" wide. All the nuts & washers needed. From John Woodason of Standish, Maine on 8/9/2018 . Part works as it should. C.E.Smith was a pleasure to work with!